This first portion of the OCX, the Launch and Checkout System (LCS), is now being tested under the GPS III Mission Readiness Campaign. The Los Angeles Air Force Base reports that the ground system is performing as expected during the rehearsals and space vehicle checkout, giving the USAF confidence that it can support launch and on-orbit operations. The delivery of the LCX marks a significant program milestone, as it provides the USAF with a cyber-hardened ground system to support the launch and on-orbit checkout of the GPS III satellites. Dubbed “Block 0”, the LCS will control Launch and Early Orbit (LEO) operations as well as the on-orbit checkout of all GPS III satellites. OCX Block 0 also provides the hardware, software, and cybersecurity base for Block 1. Block 1 should give GPS III the capability to control all legacy satellites and civil signals, military signals, as well as the GPS III satellites and the modernized civil signal, and the aviation safety-of-flight signals. In addition, Block 1 enables USAF to control the modernized military signals as well as the globally compatible signal. The final segment of OCX, Block 2, will give the USAF the capability to control advanced features of the modernized military signals. It will be delivered concurrently with Block 1. In addition to improved positional accuracy, GPS III’s OCX will provide improved cybersecurity for the system to prevent hacking, interruption, or compromised data. Raytheon touts the OCX as providing improved timeliness and quality of service while still remaining backward-compatible with existing GPS protocols. Raytheon also billed OCX as having a “flexible, open architecture”, using a modular software approach capable of adding new capabilities as they become available. Currently, the USAF has 31 GPS satellites in orbit, ranging from Block IIR to Block IIF, which began orbiting in 2010. GPS III will introduce new capabilities to meet higher accuracy demands of both military and civilian users in the U.S. It also will expand international cooperation in the Global Navigation Satellite System (GNSS) by fielding signals interoperable with Galileo, Quazi-Zenith Satellite System (QZSS), and other GNSS systems. 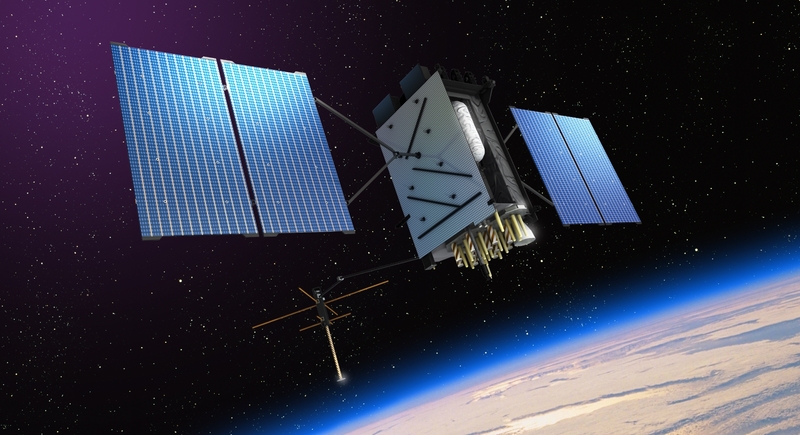 Raytheon expects to deliver the first of its GPS III satellites starting in 2022.